Plug in to the Stories of Survival tour: cultural organizing storytelling tour across gulf south and Puerto Rico, organized by StoryShift, led by Cultural Agent Jayeesha Dutta. Help paint the world’s largest street mural at the March for Climate, Jobs and Justice. USDAC affiliate Culture/Strike is making art and organizing with communities in the San Fernando Valley and Bay Area. Check out the videos of their work to commemorate the Napa wildfires, to lift up the struggles with air quality and asthma in Fresno, and to center youth of color climate leadership and knowledge in the Bay Area. 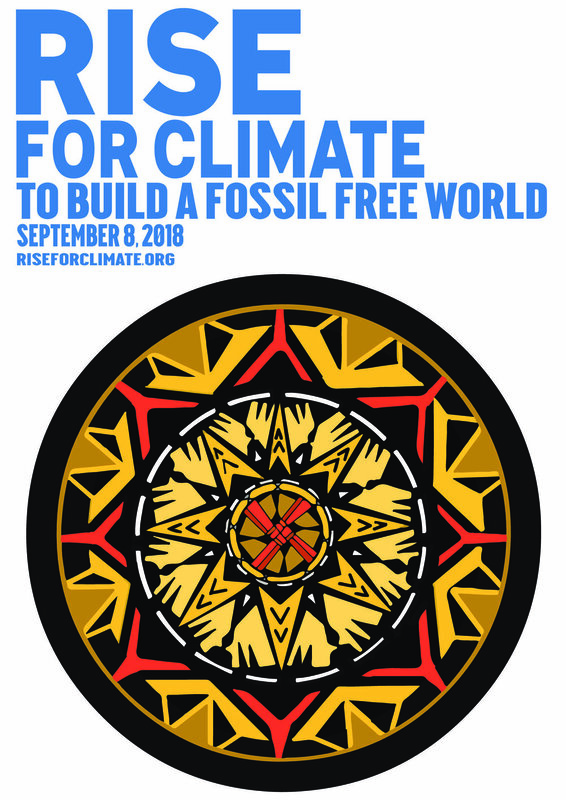 More info and opportunities on the Art Builds for Climate Justice facebook group! You can join Paying Homage: Soil & Site, a free summit on September 8 to explore the interplay of environmentalism, social justice, the arts, and community identity. Thanks to EPA salon participant Helen Kauder for the info! The Festival for Change: Climate, Jobs and Justice will feature art, performances, and opportunities to take action for climate justice lead by community artists in Baltimore. Make art for the NYC march with the People’s Puppets! Artists are connecting through the Clean Energy Revolution Art Facebook group that started with the Clean Energy Revolution March in Philly just before the DNC Convention in 2016. Thanks to EPA salon participant Peggy Hartzel for the info! Queers for Climate Justice art and social media campaign! Stand with the youth arts organizers at the California Allegory Fellowship by making your own climate hero mask. To hear more stories from some of these projects, check out the recording from our Citizen Artist Salon! To stay in the loop as we build this network of artists, activists, and cultural organizers dedicated to climate and environmental justice through creative intervention and participatory arts, please sign up directly on the EPA bureau page here.